Help Knox County reduce its energy and operating costs using solar energy. One of the world’s leading independent providers of energy efficiency and renewable energy solutions for businesses and organizations worked with Piper Communications to deliver an innovative solution that will save Knox County $29 million dollars over 30 years with a solar project that paid for itself, enhancing STEM learning opportunities for its students. Piper also coordinated the launch of solar panel installations in Knox County with the Knox County Mayor’s Office. 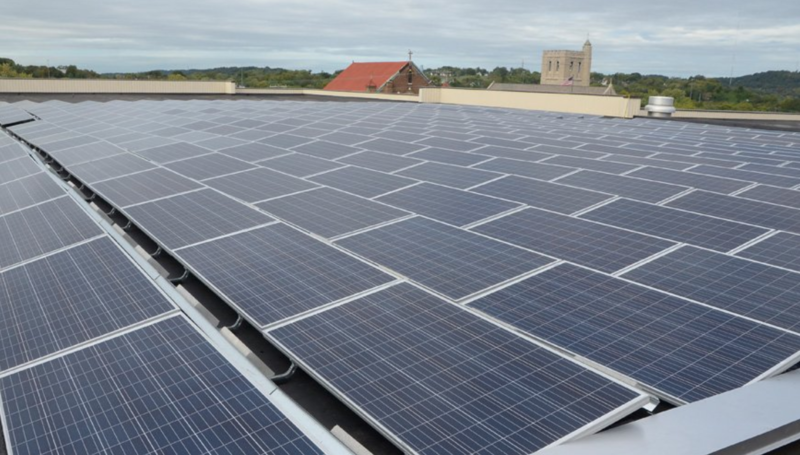 Ameresco was selected by the school system to install more than 5 megawatts of solar photovoltaic systems on the rooftops of 11 schools, the Central Office Building, along with ground mount solar arrays at the Knox County Detention and Juvenile Justice Facilities. In late September 2015, officials joined in a dedication ceremony to commemorate the completion of the first installation at the Central Office Building, with the Knox County Mayor, school officials and Ameresco officials present. Piper Communications assisted in the coordination of media attendance with local media including the Knoxville News Sentinel, WBIR-TV Channel 10, WATE-TV Channel 6, and WVLT Volunteer TV covering the event. The project is estimated to save Knox County $29 million in energy costs over 30 years and generate $13 million in positive cash flow.